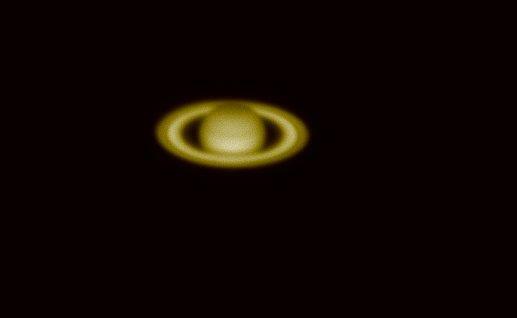 A close-up shot of the ringed planet by Joe Marzullo. Note Cassini's Division (the dark lane) in the rings. Gene Faulkner & Joe Marzullo located comet Linear on Dec. 1, 2001. 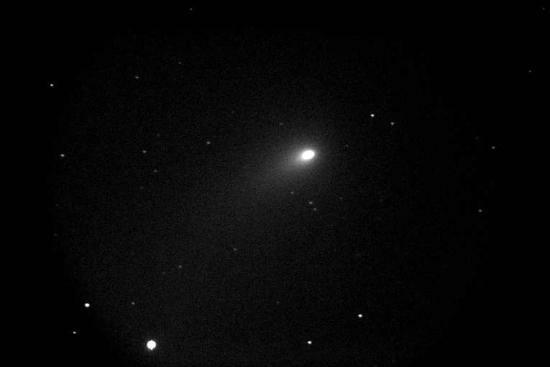 A short tail was visible in Joe's 10" LX200. Joe took this image at f/3.3 with an ST7E camera. Exposure was 30 seconds. 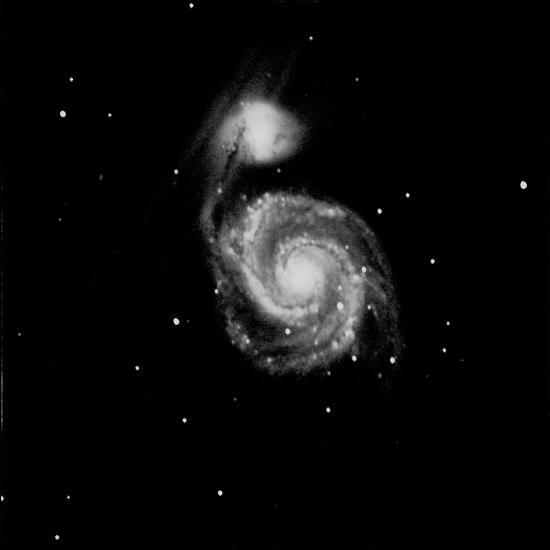 This image of the Whirlpool Galaxy was taken by Kevin Conod near Benson, AZ with a 20-inch diameter Maksutov telescope. Exposure was 5 minutes with a Finger Lakes CCD camera. 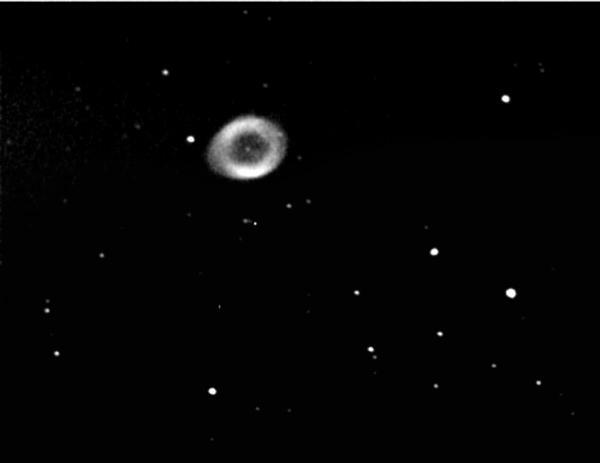 The Ring Nebula by Gene Faulkner. Taken with a MX7C camera from Clifton, NJ. Exposure was 5 minutes. 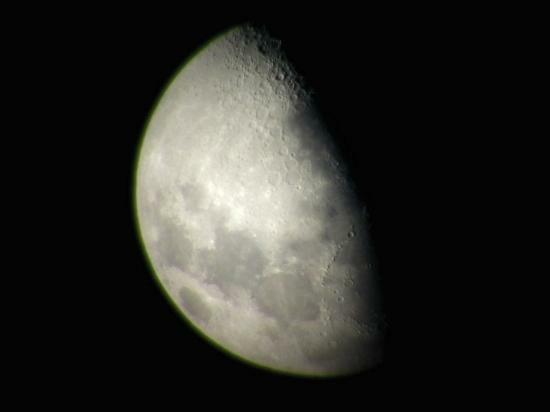 This image of the Moon was taken in Washington Township, NJ by Angelo Restivo with a Olympus D-490 digital camera through a 3 inch refractor and 20 mm eyepiece. 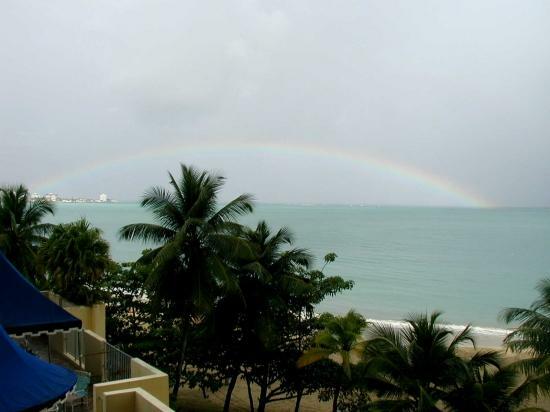 This image of a rainbow over the Atlantic was taken in Puerto Rico by Angelo Restivo with a Olympus D-490 digital camera. 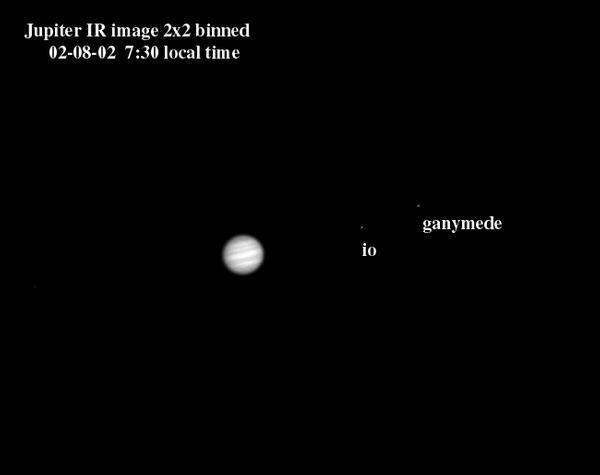 A recent image of Jupiter through an infrared filter by Gene Faulkner.